Tickets to the general public go on sale on 10/22/15 at 1PM EST. 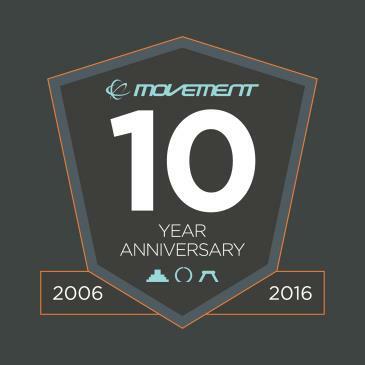 If you bought tickets to Movement 2015, please check your inbox to see your code for early access, which is from 11am - 1pm EST. The Movement Electronic Music Festival takes place every Memorial Day weekend inside Hart Plaza – Detroit’s legendary riverfront destination. The festival features: six technologically-rich outdoor stages; more than 140 artists; a posh VIP setting located behind the main stage; dozens of official afterparties; an interactive technology center featuring the hottest gear in the industry; and several art displays to stimulate the senses. Over 111,000 people from around the globe attended the 2015 festival. In partnership with The Red Bulletin Magazine - Movement Detroit is pleased to include a 12-issue subscription with your ticket purchase, a $12.00 value. Your first issue should arrive in 4-6 weeks. If you do not want to receive your subscription to The Red Bulletin Magazine, you may cancel and receive a refund for the magazine’s value by completing this form and mailing it in as instructed.